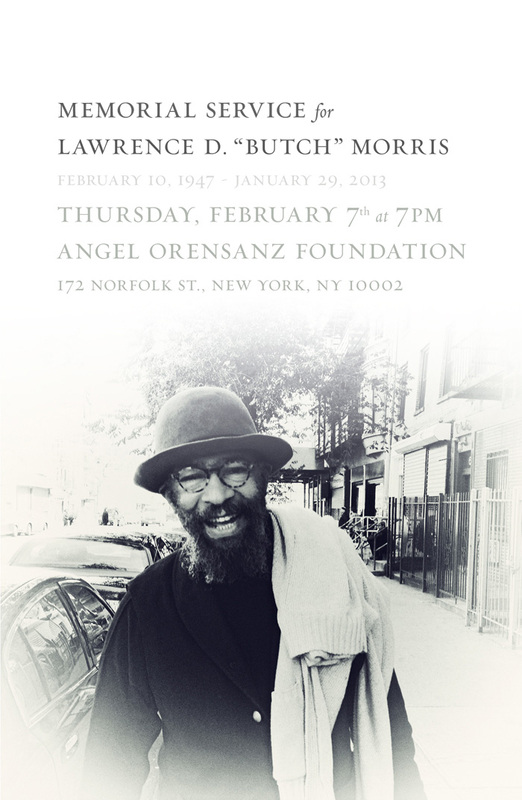 Memorial Service for Butch on February 7, 2013 | Black February, a film about Butch Morris. The service will be held at the Angel Orensanz Foundation building at 172 Norfolk St, New York, NY, between 7-9 pm. This entry was posted on February 4, 2013 at 1:59 pm and is filed under Uncategorized. You can follow any responses to this entry through the RSS 2.0 feed. You can leave a response, or trackback from your own site. In our hearts: Butch! Great inspirator. His soul keeps on dancing among us, with us.